When people travel to Austria I hear all about Vienna (Wein) the beautiful artistic and cultural capital of Austria, Salzburg famous for the Sound of Music and I even sometimes hear about Innsbruck for its lovely snowy mountains that surround the city. While these cities are lovely (I’ve visited them all), there is still a hidden gem near the centre of Austria in the Dachstein Salzkammergut region that many fail to visit. 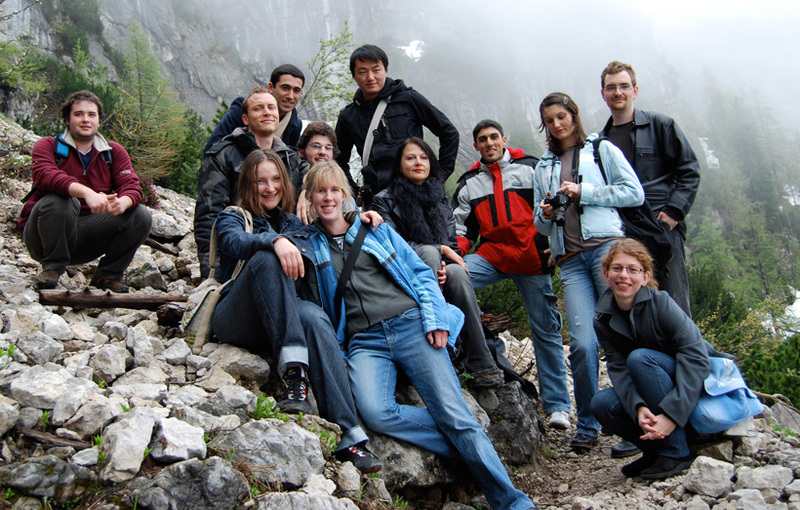 In 2008 I was lucky enough to be on a University scholarship exchange program based in a small town called Hagenberg, not far from the capital city of Upper Austria, Linz. Austria was the first country I had ever visited outside of my home country of New Zealand. I was expecting cobbled streets, green pastures and lots of Wiener schnitzel. For the record, its a bit more modern than many would think, but there is still plenty of schnitzel around. I wasn’t disappointed by any means (quite the opposite – it was one of the best times of my life), but Austria wasn’t quite what I had expected either, having lived a bit of a sheltered life on the other side of the world, far away from any historic European country. It was during this time that I was on an Erasmus excursion, with a bunch of European students that were studying in Austria. Sitting on a crystal clear lake, this little Austrian village could have been picked out of a storybook. It was and possible still is, one of the most picturesque beautiful little spots I’ve ever visited. Hallstatt, was listed in 1997 as a UNESCO World Cultural Heritage site and anyone that visits will understand why the moment they get off a bus, out of the car or train and step foot onto the cobbled paths near the lakeside looking across the town. It’s very easy to walk around the old cobbled streets, taking in the beauty of the little wooden houses, the details of shops and the cute church. However, Hallstatt is not without its own quirks that come somewhat unexpected. Up a hill, sitting near the town church overlooking the beautiful lake is the Beinhaus (bone house). Inside you’ll find over 1200 skulls, 610 of them that have been painted with floral designs and the date that the person died on them. While this may sound rather creepy to many people, the reason for it was the lack of space in the cemetery. Something else to notice about Hallstatt and Austria in general is that they have some pretty impressive graveyards. I visited graveyards in both Hallstatt and Salzburg and realised that people really put a lot of effort into a memorial of someone’s life. Reading this you may think that mentioning that is rather sad and depressing (or sick), but what I’ve felt from walking through these cemeteries, is that it is rather touching to see the graves and how much the people were loved by the structures and decorated flowers that are left there by their loved ones. I visited Hallstatt during one of the religious holidays in Austria and was treated to seeing a traditional religious procession with music, boats and cannons firing even! Everyone in the town wore their best traditional Sunday clothes with all ages involved in the procession and music. It really made me feel like I had been swallowed up into the happy traditions of this lovely little lakeside town in Austria. Hallstatt not only has some of the most beautiful scenery in Austria, but also is home to some incredible Salt Mines high in the mountains that overlook the region of Dachstien and the Hallstatt Lake. Inside is the world’s oldest salt mine, where salt has been mined for over 7000 years. While I didn’t venture into the Salt Mines I did get the chance to experience the Dachstein Salzkammergut ice caves that were incredible high up in the Trauntal valley with yet another amazing view. That bone house is a bit gruesome! Oh shucks – thank you! Hallstatt is an amazing place its easy to turn that into words and photographs. I know how you feel, me myself I live in such a beautiful place its nice to see us both sharing our life experiences the same way.